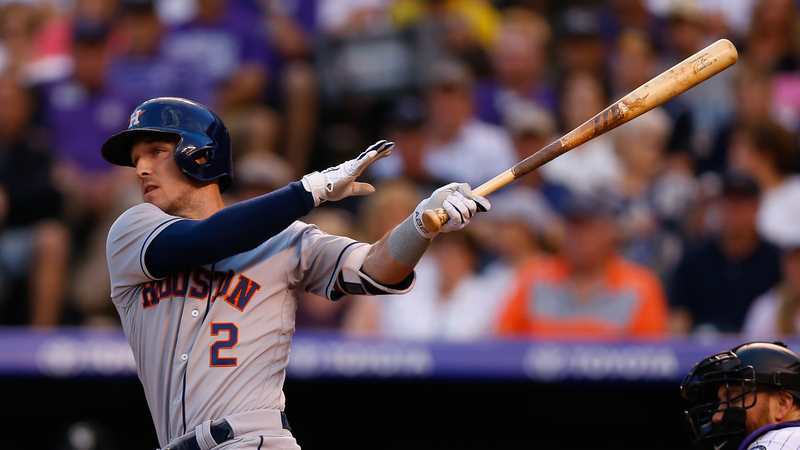 Astros third baseman Alex Bregman tripled to lead off the sixth inning against the Rockies Wednesday. The umpires overtuned the call on review which was ultimately ruled fan interference and an out which took away a runner on third base with no outs for the Astros. Bregman did not agree with the call. On the play after Bregman’s overturned triple, J.D. Davis grounded out up the middle. In theory, had Bregman been on base he would have scored. Houston would finish the game with one hit. It lost 3-2 on a walk-off, ninth-inning homer by Charlie Blackmon.